Grey Sun Press, 9780990815761, 298pp. This collection stars four authors, each with their own distinct voice. National bestselling author Maia Chance, who is famous for her cozy mysteries, dazzles with humor and folklore. 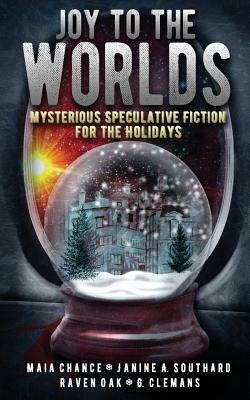 IPPY award-winning science fiction author Janine A. Southard beguiles with unexpected time-travel science. Science fiction and fantasy bestseller Raven Oak offers a look into the gothic past. And for a whole new perspective, debut fiction author and art expert G. Clemans dives into the intersections of creativity and mystery.